Upland Barrel-Aged Takeover - Upland Brewing Co.
Join us for an evening of wood-aged beers and sours on tap at The Wood Shop! Our barrel-aging team has been hard at work and is ready to show you everything they’ve got, including beers you can’t get anywhere else! The heads of both barrel-aging programs will provide a 30-minute beer education for 6 of the brews on tap at 6pm. Only $15 for all 6 samples. From the yet-to-be released to the 3 year aged beers, this is a lineup you do NOT want to miss! We’re also raffling off two tickets to Bloomington Craft Beer Festival at this event. Sign-up upon arrival in order to be entered. Brewer’s Reserve Barrel Chested Barleywine nuts and small bite plates will also be available for purchase! 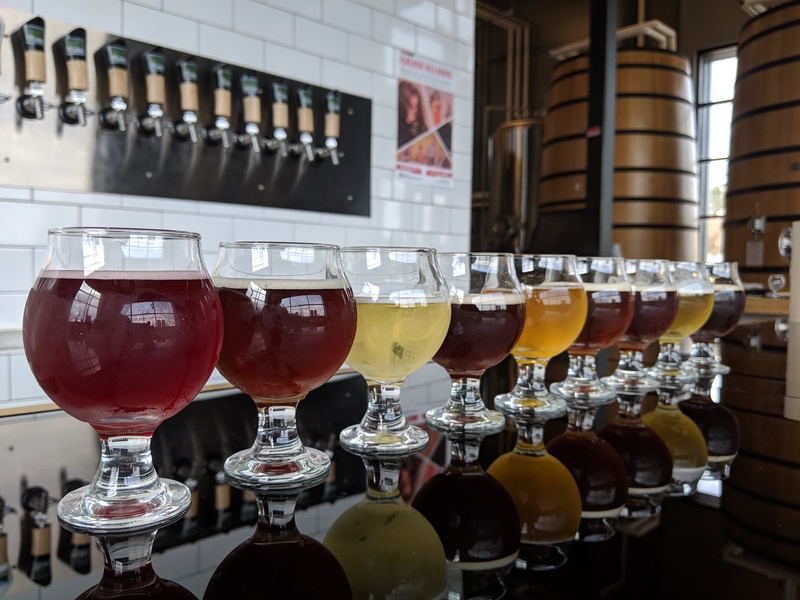 Celebrate Bloomington Craft Beer Week and get warmed up for Bloomington Craft Beer Festival 2019!